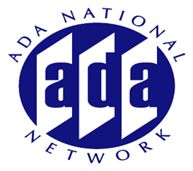 AccessibilityOnline represents a collaborative training program between the ADA National Network and the US Access Board. The AccessibilityOnline Webinar Series offers free webinars on a variety of topics concerning accessibility to the built environment, information and communication technologies, and transportation. ADA Legal Webinar Series is designed for individuals who have a working knowledge of the ADA and are familiar with its basic elements. Sessions are intended to support continued learning and focus on the knowledge that has been gained since the implementation of the law in terms of how the federal agencies and the courts are interpreting the law and subsequent regulations. Accessible Technology Webinar Series goal is to increase awareness of technology accessibility for people with disabilities in areas such as electronic information and how communications technology can work to provide equal access to the workplace and social media. This series brings together the ADA National Network, National Center on Accessibility (NCA), the LEAD Program with The John F. Kennedy Center for the Performing Arts and The Smithsonian Institution. The goal is to share their acquired knowledge and expertise in creating equal access and opportunity for people with disabilities in the areas of Arts and Recreation with the broader community. Sessions will focus on legal compliance issues, best practices in the field and practical "how to's" across a broad range of topics. The intended audiences include but are not limited to ADA Coordinators, Program Administrators and the Staff, Volunteer Program Administrators, Federal, State and Local Government Agencies and disability advocates. The Great Lakes and Southwest ADA Centers have joined with RESNA to provide a series of free webinar sessions to meet the needs of the AT Act Programs. The sessions are designed to provide timely information by experts on various aspects technology and it's interface with issues covered under the ADA.